Hi everyone! I’m Adriana from Daily Dose of Design. I live in New York and blog all things fashion, interior design, DIY, and lifestyle. For the past couple of months (more than I would like to admit) I’ve been doing a bedroom makeover! For this makeover I decided I wanted silver decor and accents instead of gold, which can be more typical to decorate with. I thought silver would go together nicely with my room color, a light turquoise tone. I also have some black accents in my bedroom including a fantastic black chair, which I’ve also utilized silver decorative accents to highlight. 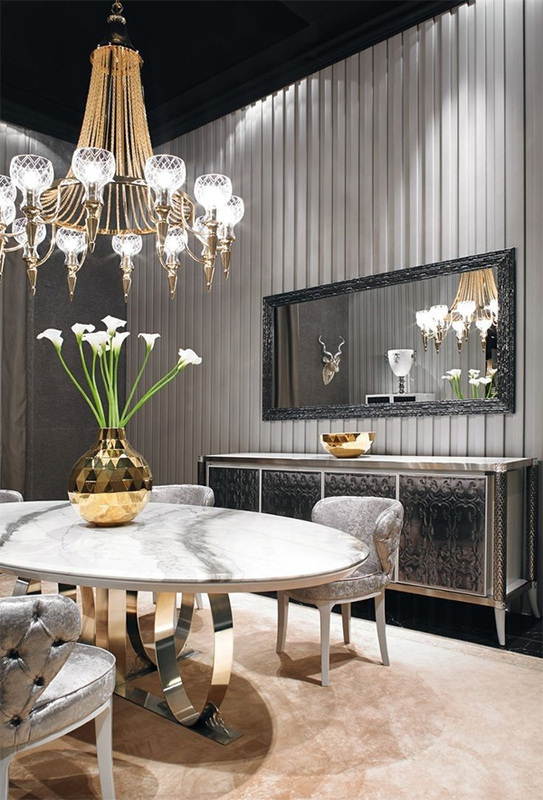 Decorating with silver decor really does add a luxe feel to your space. This insanely gorgeous living room (above) is designed in a minimal color palette with black, white and silvers – but the pops of pink and turquoise make the silver tones stand out and give such a glam feel! I am loving the silver nailheads as a glam accent on the sofa as well, along with that fab silver beaded chandelier. 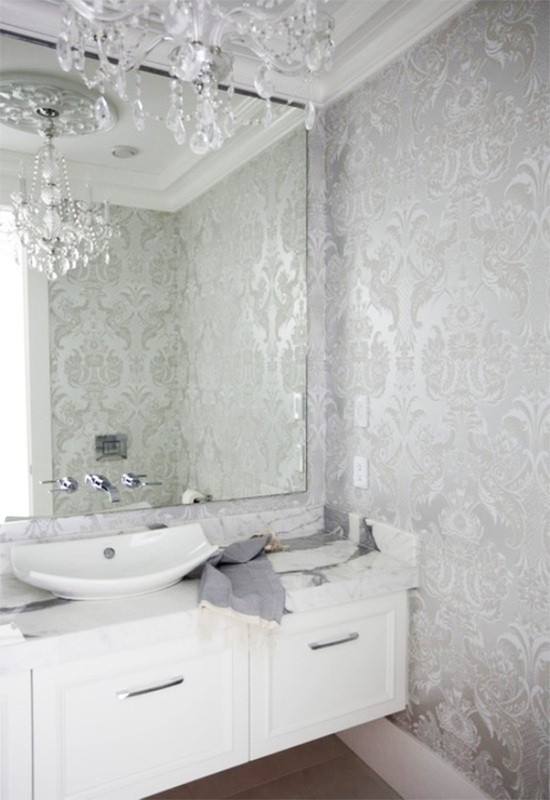 This space uses silver minimally, but it goes a long way. Interested in a furniture with silver nailheads? Look here, here and here. Since I’ve become somewhat of a pro (or so I like to think) on decorating with silver tones, I decided to round up some gorgeous silver home decor pieces that are perfect for a bedroom or living room, so stay tuned for that at the end of this post. Adding a metallic color like silver can brighten up a room and looks extremely elegant whether you’re decorating a large space or small. While many metals are silver in tone, you can create a silver motif using silver paint as a fresh and surprising way of decorating with silver. In the luxe space above a silver frame featuring a fine-art photograph is placed elegantly above a custom, silver-painted console. So elegant and unique! Want to break out the silver paint and begin creating? Get a few pointers here and here. Silver can also be made more feminine or masculine depending on the colors you pair silver tones with. For example, making a room more masculine using silver could be achieved by adding charcoal gray, cream and blacks. To make a space more feminine, mix in silver with pinks, turquoise or lavender shades. 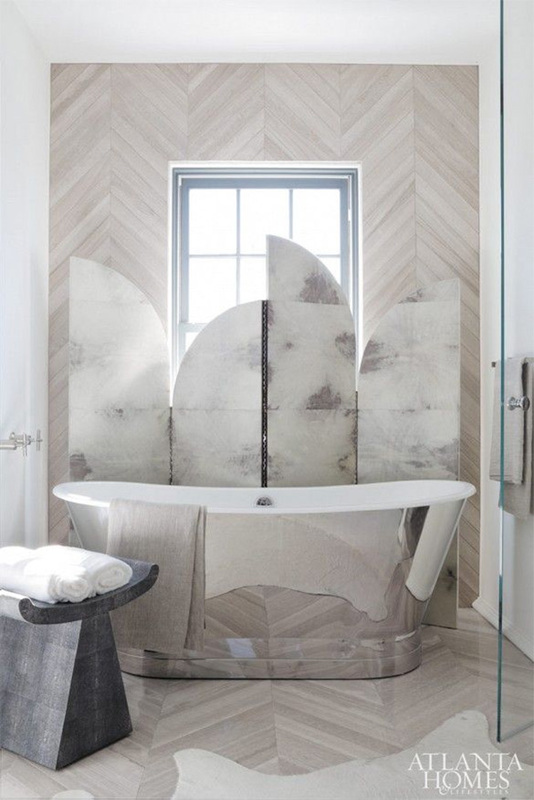 Silver also looks SO gorgeous when used to add texture to your walls (see below) or as a surprising element in a glamorous bathroom, like this silver bathtub shown below. And if you can’t commit to silver all the way, silver actually looks quite nice with gold. Take a look at this silver space below with pops of gold. Silver really can be a neutral! This round-up is the best of silver decor accents! 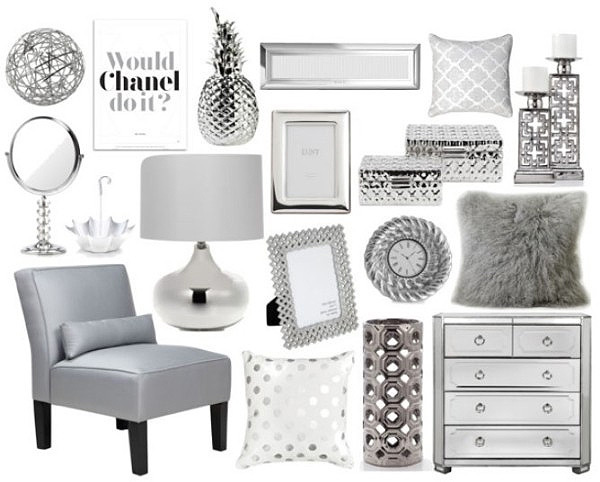 The silver accents I’ve rounded up (above) are perfect for any room. Pair these silver accents with your favorite pop of color to acheive a gorgeous space. I created a mood board of spaces with silver accents, as well to show exactly how silver comes together with pops of color. 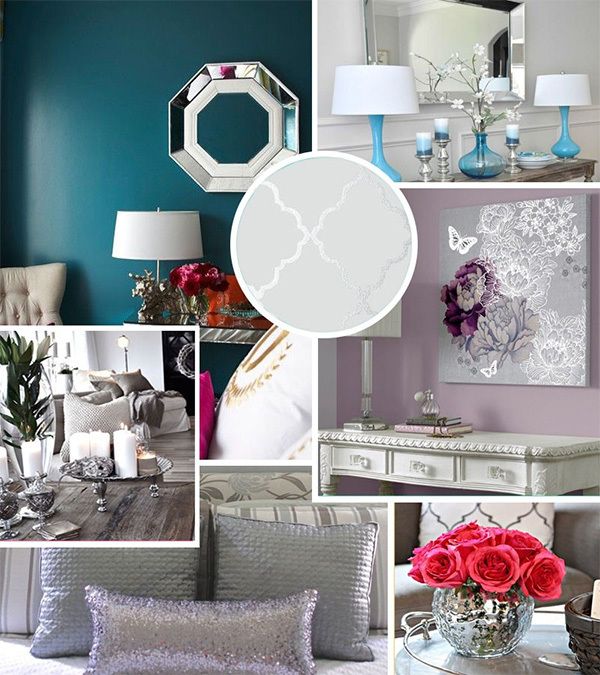 Creating mood boards for any space is helpful when designing and decorating a space. You can find tips and tricks on those here! Thank you to Jacquin for letting me guest post on this lovely blog! I hope you enjoyed this post everyone! See more of my personal design style on Daily Dose of Design or Twitter, Facebook, Instagram, and Pinterest.